We are a tuition-free, public charter school serving K-8 students throughout Dayton, OH. We are AdvancED Accredited. Our school is conveniently located on Smithville Road. Free bus transportation is provided for those families who qualify. 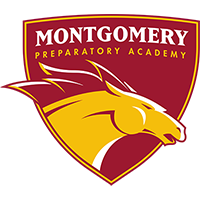 Montgomery Preparatory Academy implements a rigorous academic program that exceeds Ohio state standards to provide children a strong academic foundation and prepare students for college and career. We observe an extended school day and school year, and exceed the 920 hours per school year required by the Ohio Department of Education in order to maximize learning time in each grade level. Call to schedule your appointment for a tour of our school and visit our classrooms. Learn more about why other families are enrolling their children at Montgomery Preparatory Academy. Join us for a Kindergarten Registration!